Definitely! I'm about halfway through the Mighty One now (though the effects of me reading it won't show up on the show for a while, we record pretty far ahead.) And while I don't recall him talking about this this story specifically, his book is really valuable. There's a long section about planning the first Judge Dredd annual that I'm very excited to bring to the podcast. I've already got Mills's book queued up for afterwards! Please let me know what you think of the episode! I'm also very interested to hear any insights/observations about the infamous Holiday Party story in this annual! Don't worry, you're nearly away from the Space Facts and Ill Fitting Reprint era of the annuals - although the IPC annuals are actually vastly superior to their rivals, World Distributors, whose offerings for their licensed stuff like Doctor Who are often so bizarre and off model that it's almost unrecognisable. And consider yourselves fortunate that you're not doing the Starlord Annuals, as the last one has a six page Stronty Dog script, one other new strip that's completely unrelated to anything that appeared in the actual comic, then eighty pages of filler material and particularly crappy reprints. There was a four year ban on reprints, so they're finally able to reprint 2000AD strips beginning in the 1982 annuals and it improves dramatically after that happens, and the 1981 Judge Dredd Annual is a shining example of what the annuals could be like. It also means that you'll eventually be able to do some of the Starlord stories in the podcast as the likes of early Strontium Dog and Ro Busters get reprinted in the specials and annuals. In our thrilling thirty-ninth episode Fox and Conrad continue their journey through the Galaxy's Greatest Comic with Progs 128-132 of 2000 AD, covering September of 1979. Join us as the ABC Warriors head to Mars, SPREAD THE WORD! Also we discuss the proper terminology for breaking into a ship, sing along with Ursa, and kill a ton of geese with Bill Savage! Yeah Johnny Teardrop has a bit of a Bruce Forsyth thing physically - he was a mainstay of 70s and 80s gameshows, and hosted the UK version of Dancing with the Stars called Strictly Come Dancing until recently. His catchphrase parodied in Sob Story is 'Didn't they do well' which comes from the generation game, where they familes competed against each others performing tasks demonstrated by experts. Johnny Teardrop seems like an amalgam of Brucie, with the camper aspects of Larry Grayson, who took over from him on the Generation Game. Rumpus' outfit is a Teddy-boy outfit, which started appearing in the 1950s, rather than the 1970s. is a riff on a Fiat TV commercial, which ended with 'handbuilt by robots' this was around the time automation was coming in. There was also a sketch parodying it. 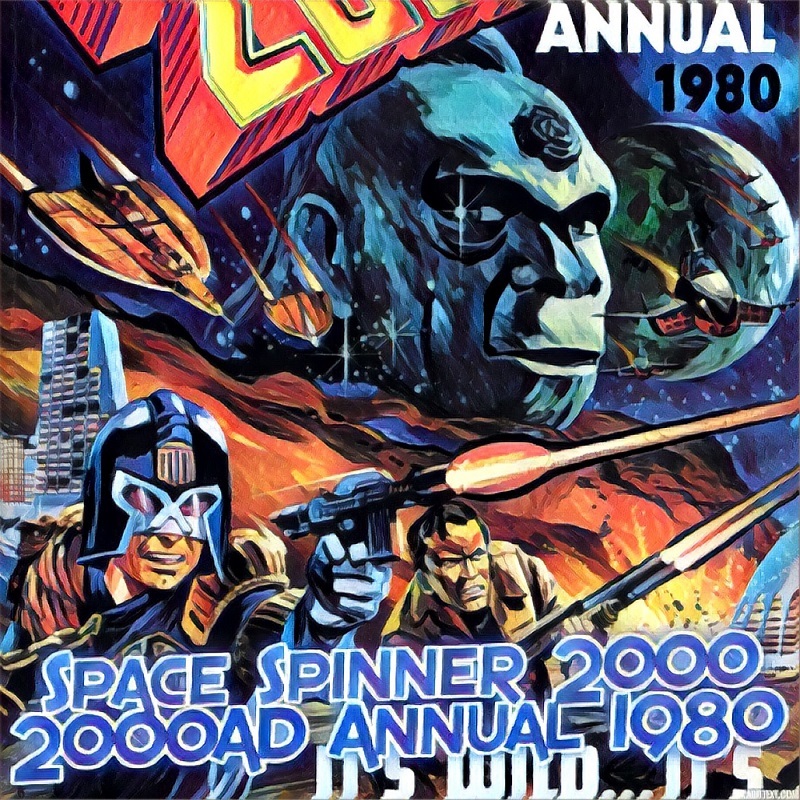 New one out today and it is the 1980 2000ad annual. Is the last of the terrible annuals? I think the 1981 one was where they started being good. I'd argue that the 1980 Annual has it's moments, but it's still pretty rough. Looking ahead the 81 Annual looks pretty fun, though it still has older legacy comics and a lot of short stories and other prose. To me the 82 annual is where things really pick up, when they're allowed to start reprinting launch 2000AD stories and stuff. Nothing against Phantom Patrol or Guinea Pig, but the art and writing style of these older stories really stand in stark relief to even the stuff in the annual, let alone what's going into the Progs at this point. 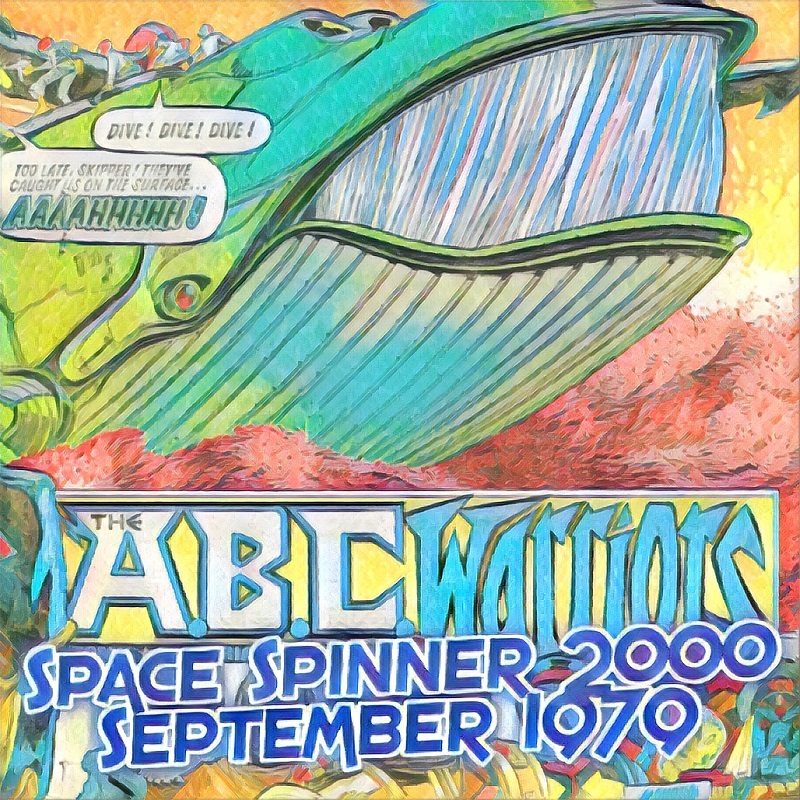 In our thrilling fortieth episode Fox and Conrad continue their journey through the Galaxy's Greatest comic with the 1980 2000 AD Annual (Annuals are dated by the following year). This episode we discuss the final Dan Dare story, the strange fate of Mega City 4, and we learn our 2000 AD IQ! We're 40 episodes in, and we hope that like us, Tharg is a big part of your life! Excellent podcast guys, I'm only a couple of episodes in but am here for the duration. A month of progs each time works well. In the Annuals, I can't rate '1981' even though I was an excitable new fan at the time. '1982' is a big leap forward. And the first Dredd Annual was a thing of beauty, as we all know. Got as far as episode 22, which has been vaped from Stitcher???? Whoa weird, sorry about that! I think I see why episode 22 is missing but I'm not sure how to get it back on Stitcher In the meantime, you can download the file directly from the site and you should be able to play it in the Stitcher app as a work around. I'm really sorry for the inconvenience, and thanks for bringing this to my attention! Seconded - That's some quality small press there. Hang in there - the annuals do get better! !